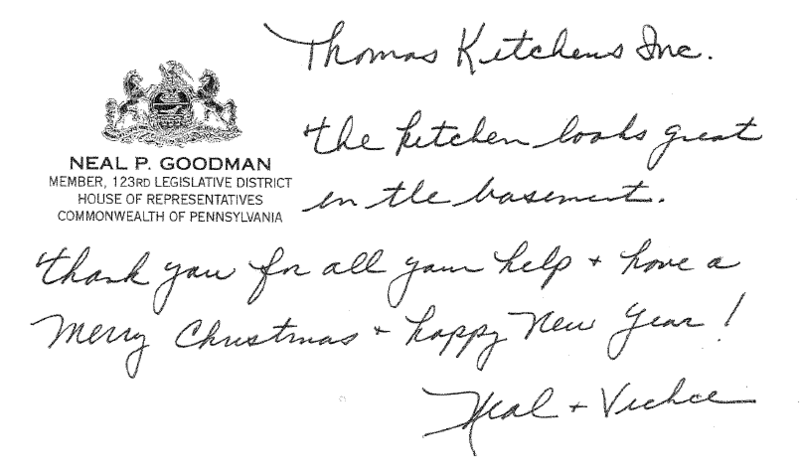 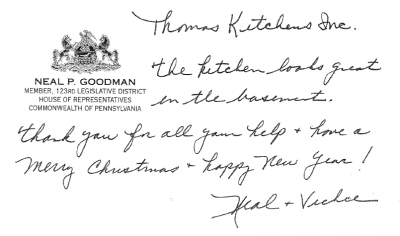 For over 50 years, Thomas Kitchens Inc. has fulfilled the needs of builders, contractors and homeowners for new kitchen & baths. 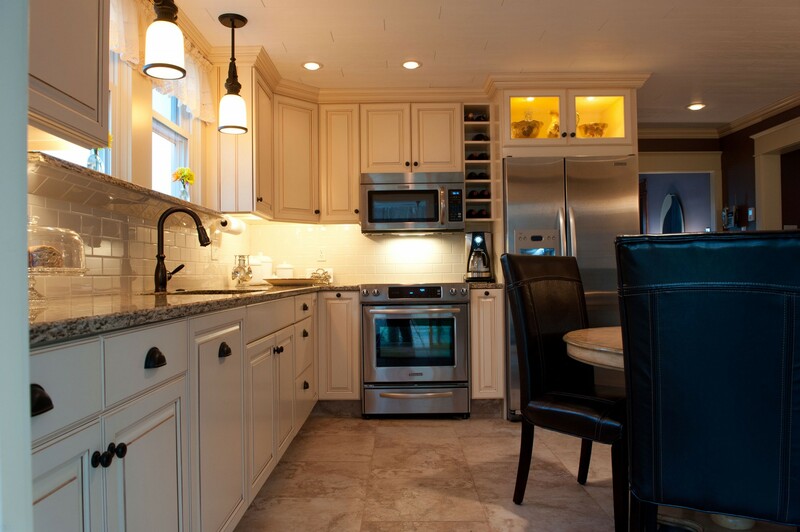 We have Pennsylvania’s largest kitchen & bath showroom with over 50 decorated kitchens & baths on display. 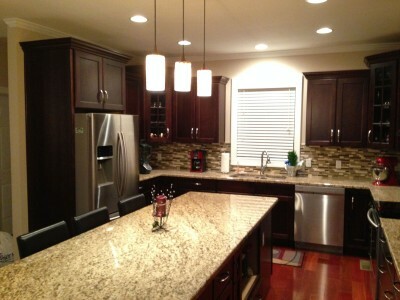 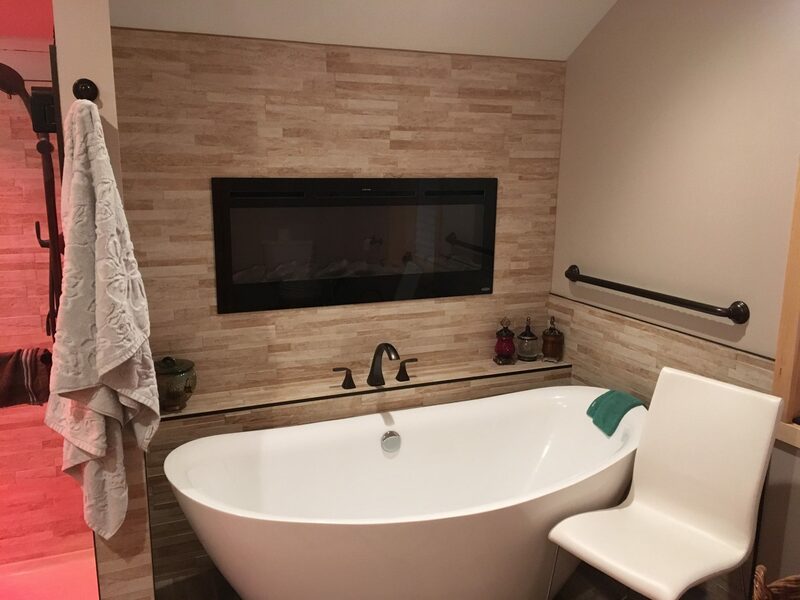 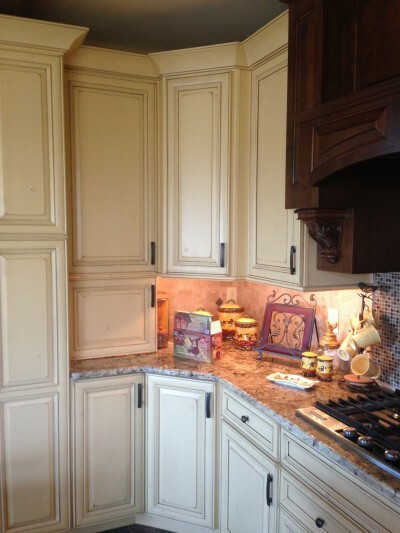 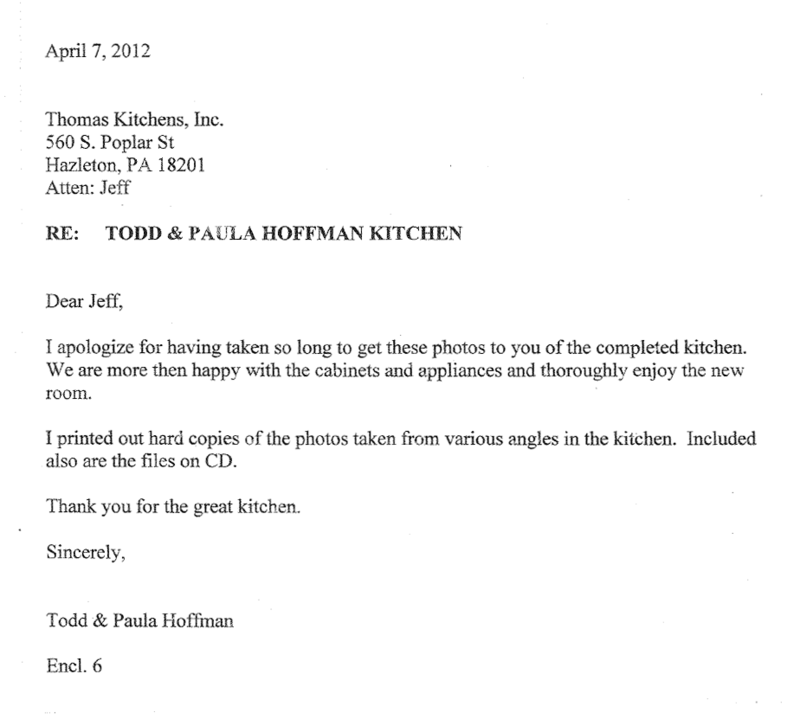 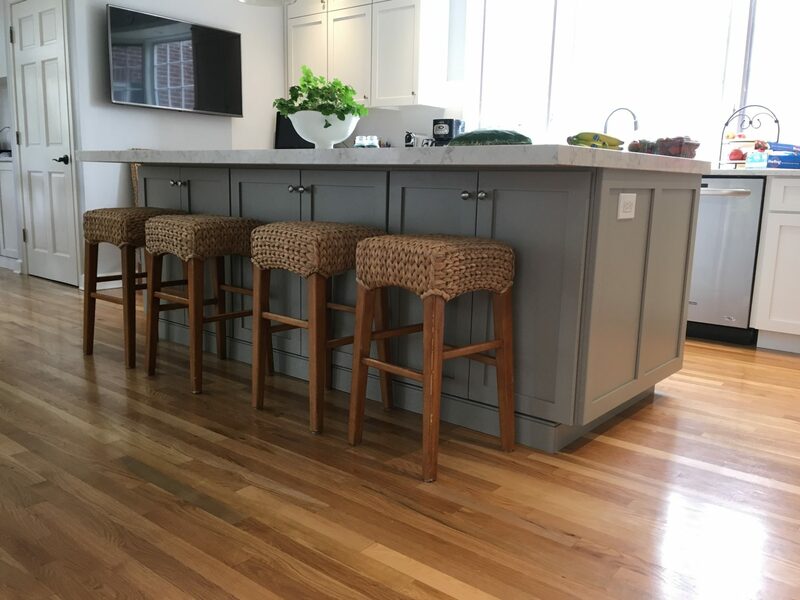 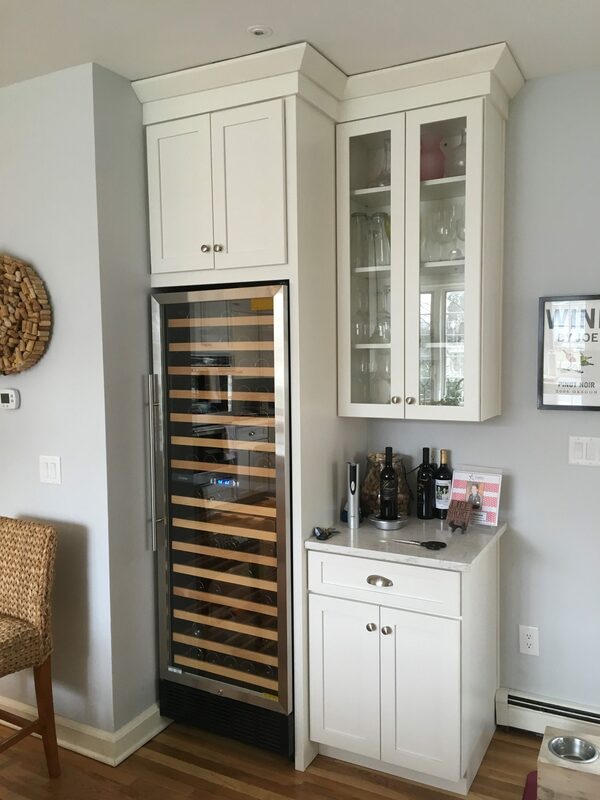 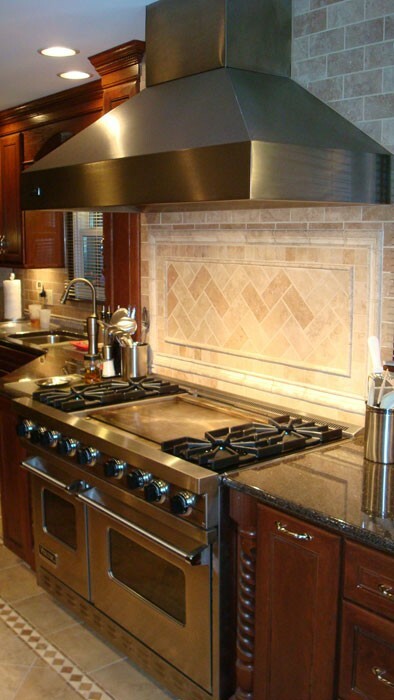 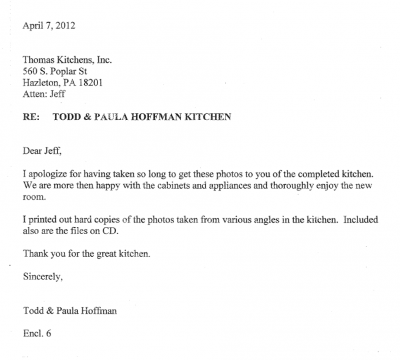 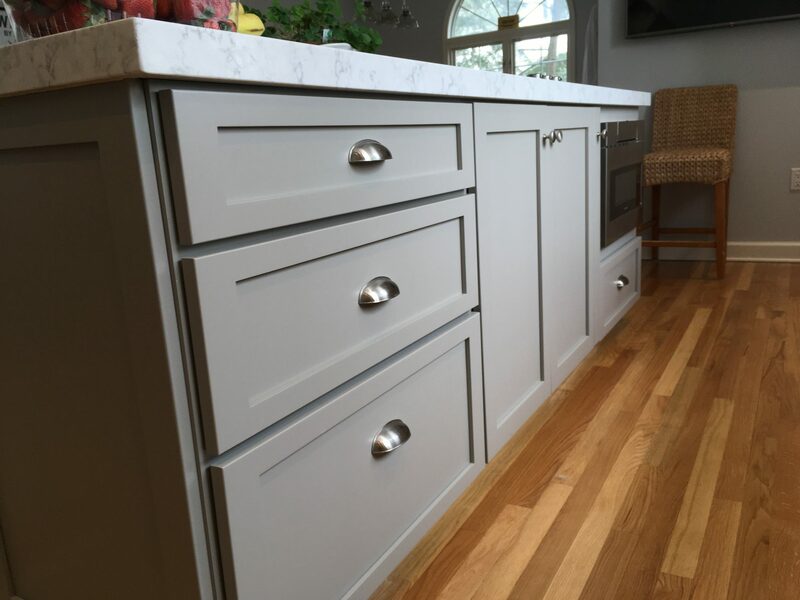 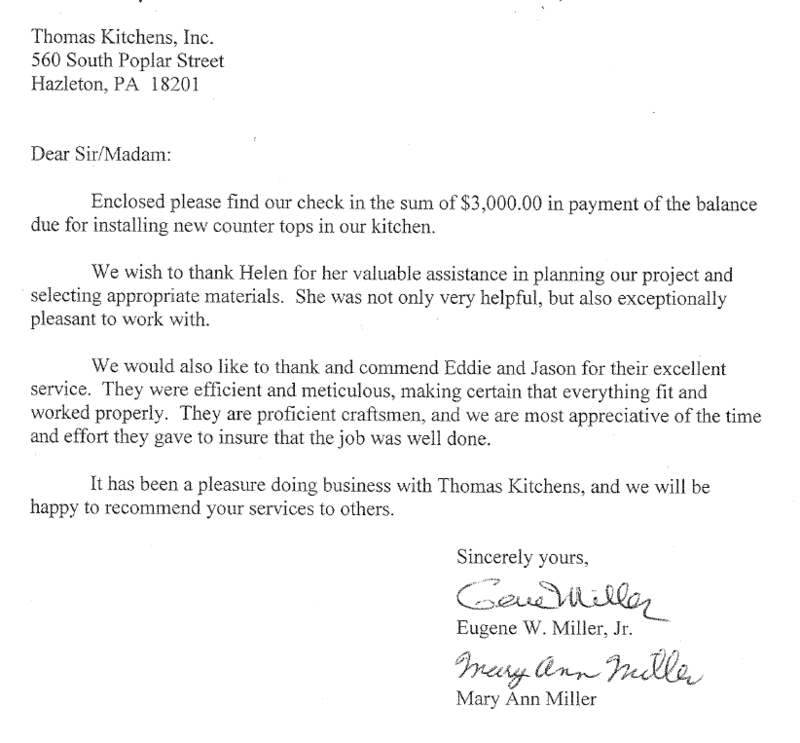 Thomas Kitchens, Inc. has the answer for all your design needs. 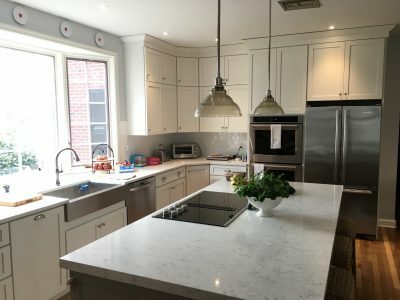 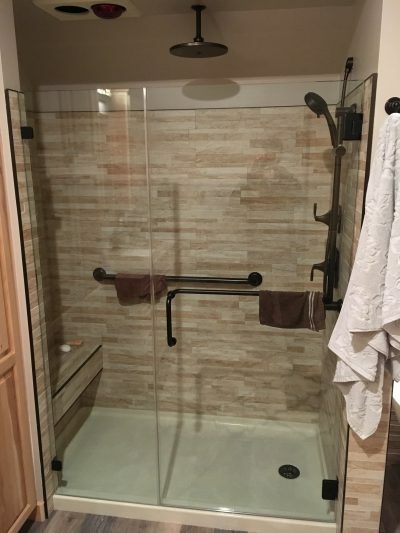 Utilizing state of the art computers, we’ll create a picture of your kitchen or bath for your inspection, until you see what you want. 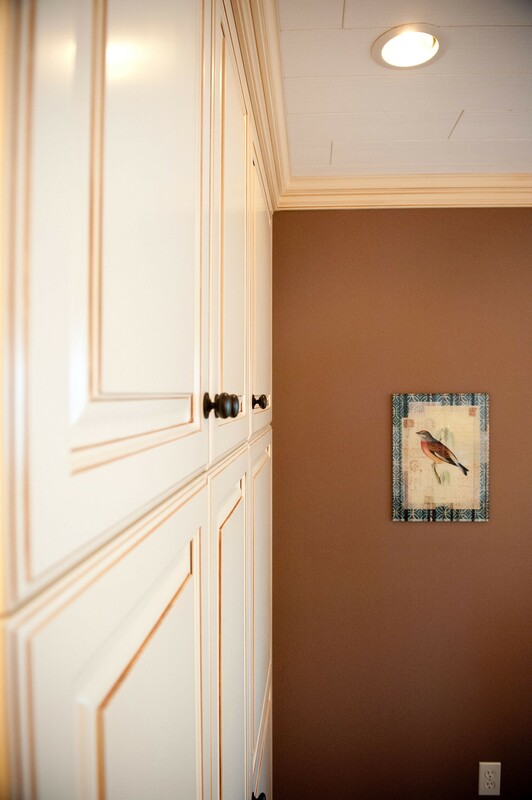 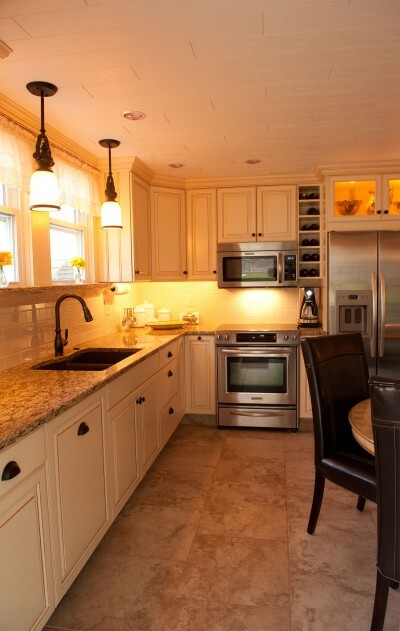 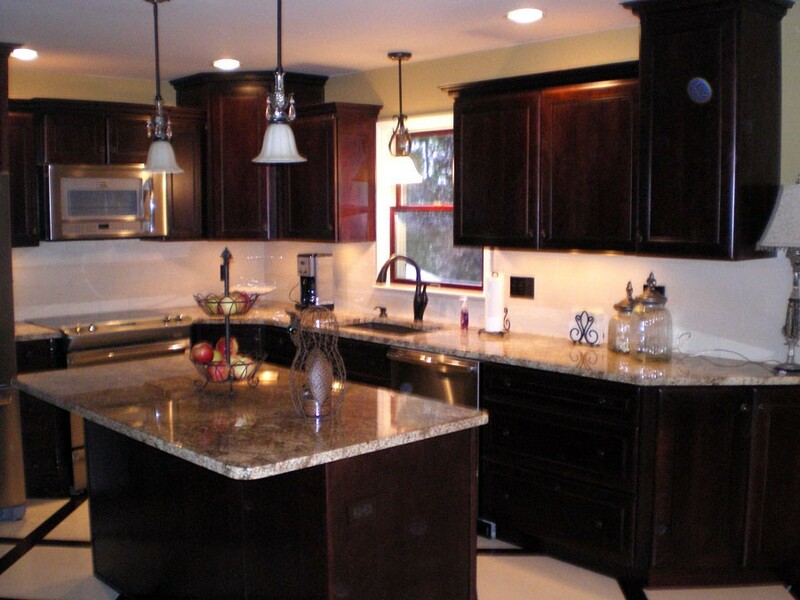 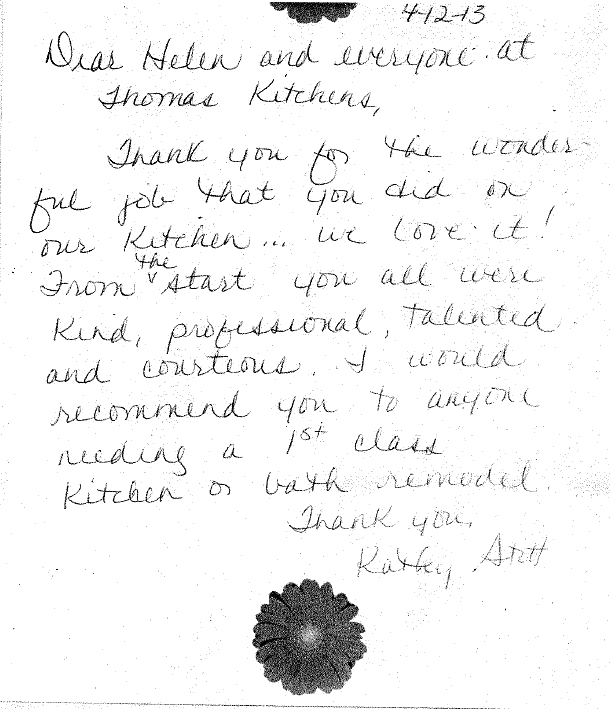 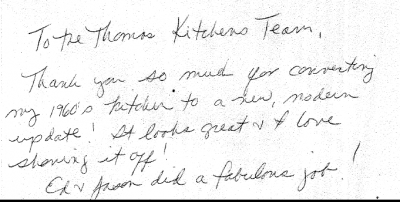 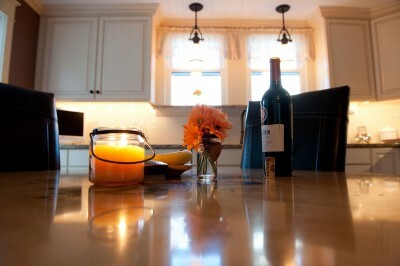 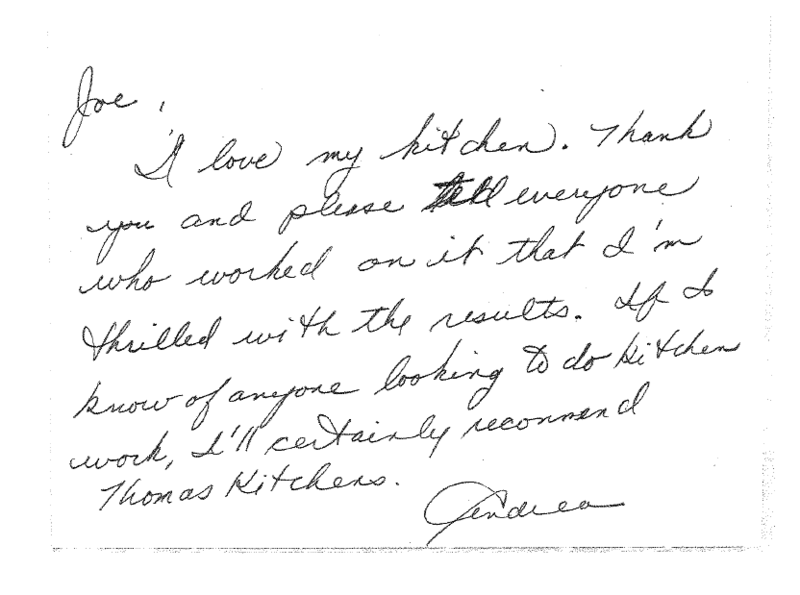 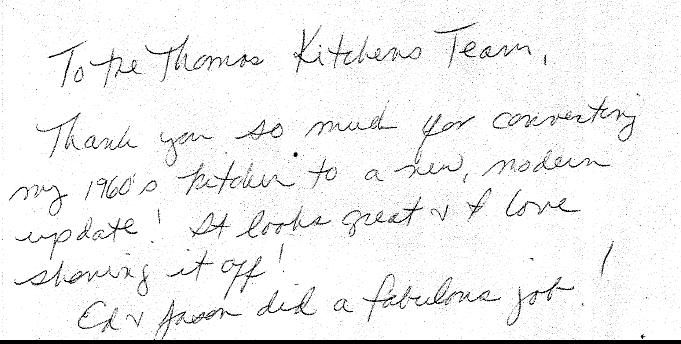 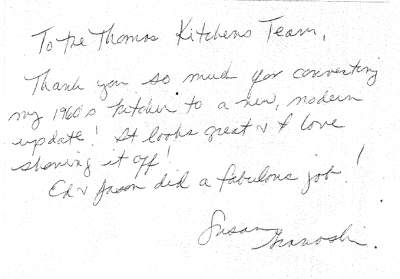 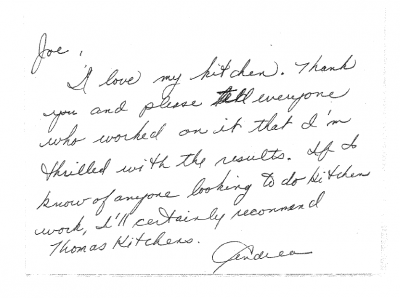 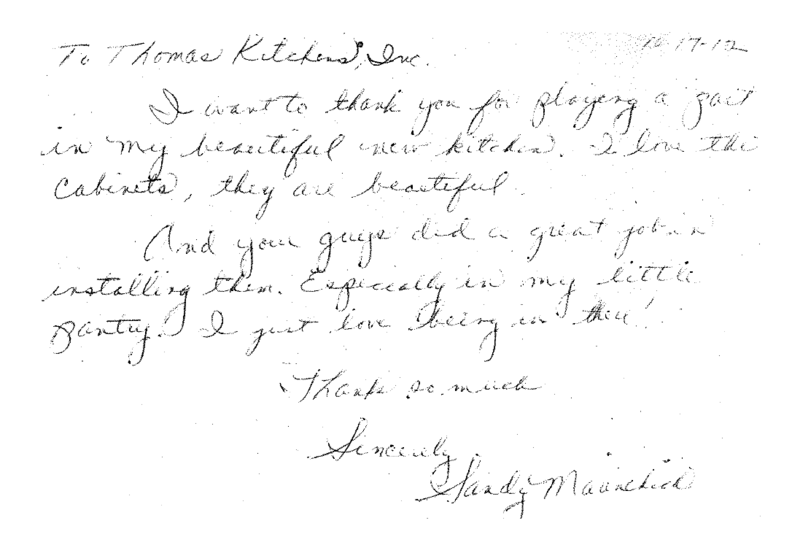 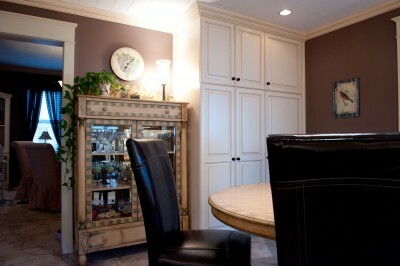 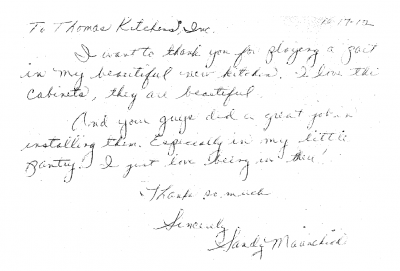 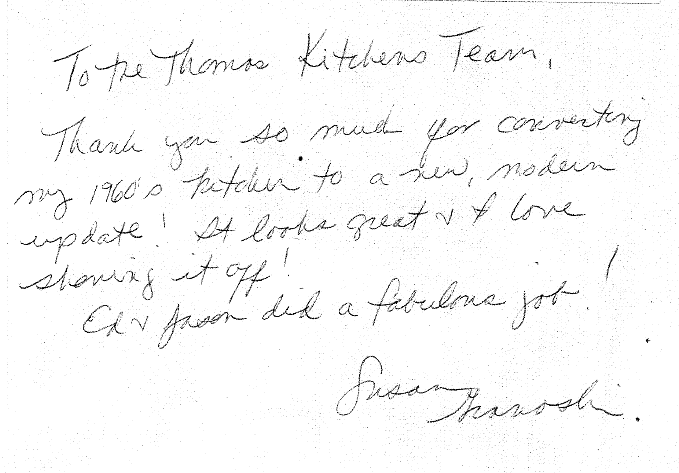 At Thomas Kitchens, Inc. we take a lot of pride in our hand crafted kitchens. We are so confident that we will let our work speak for itself. 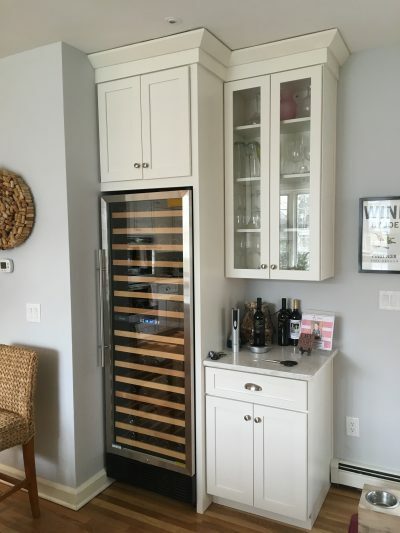 Check out the gallery of our latest creations. 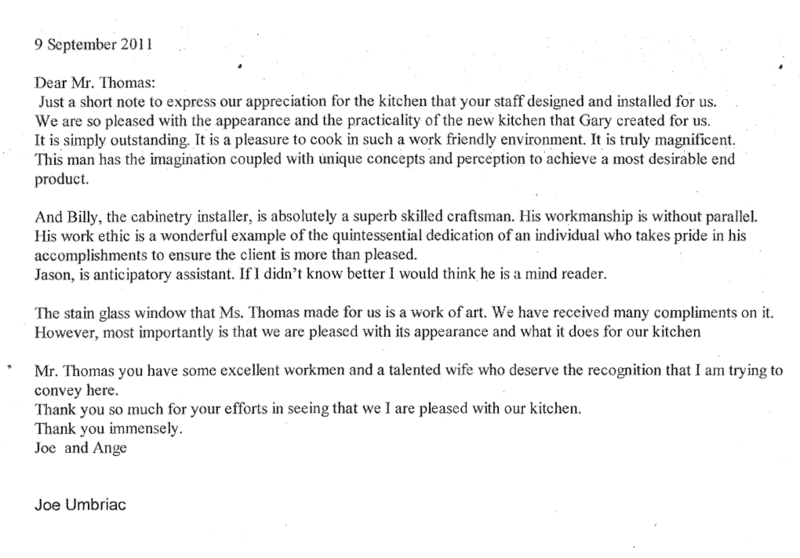 We pride ourselves on only working with the best in the business. 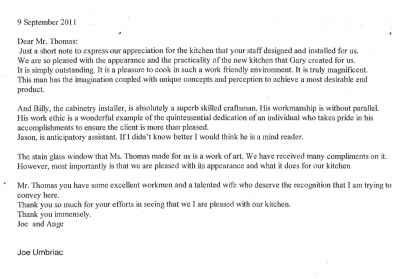 At Thomas Kitchens you will find top quality products and top quality work. See a few our partners below. 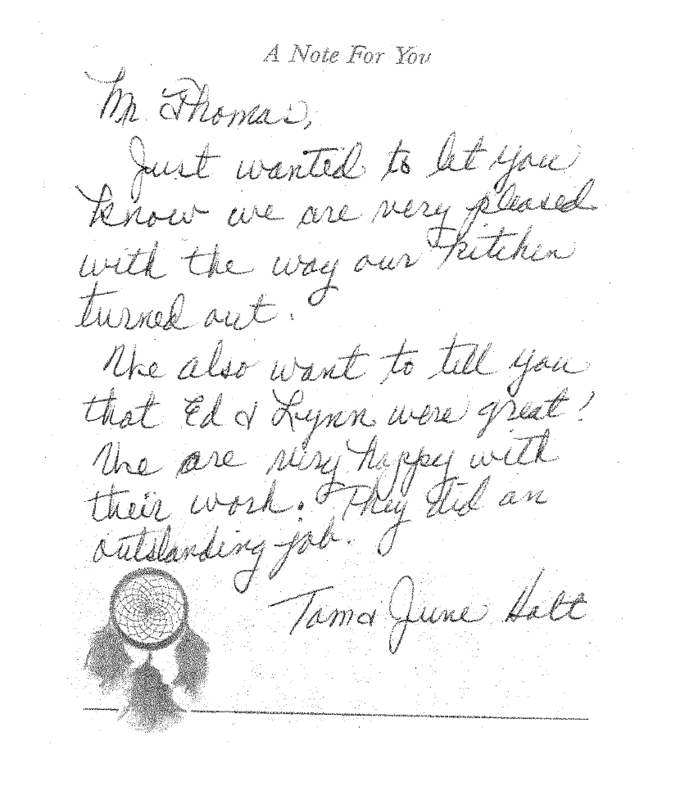 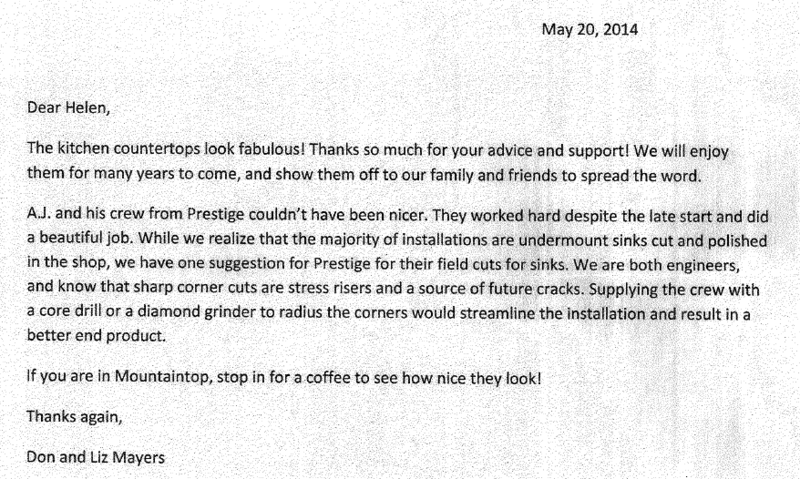 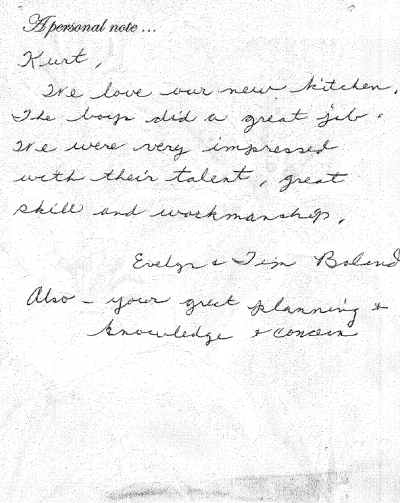 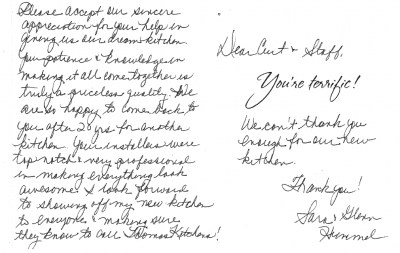 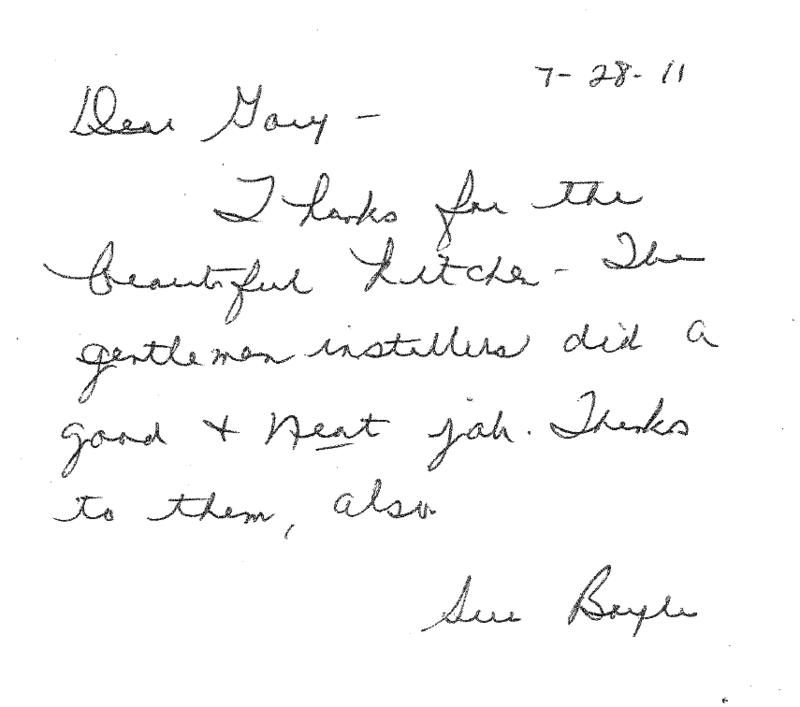 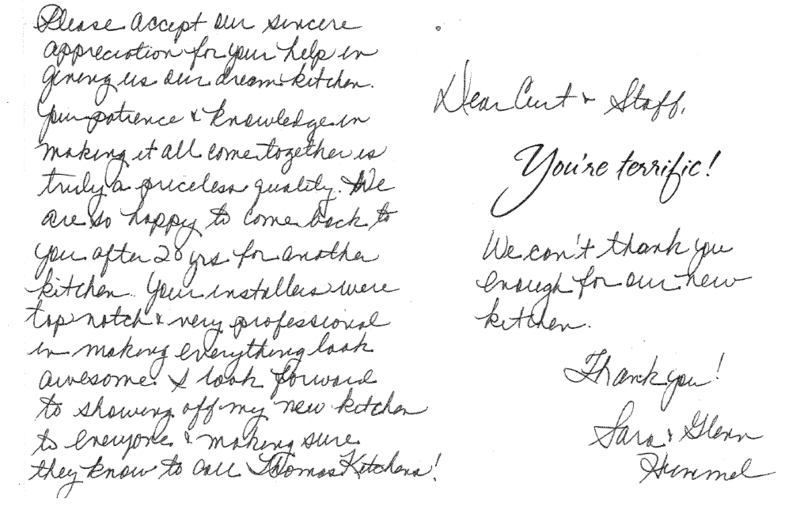 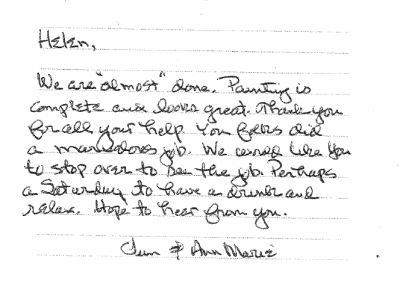 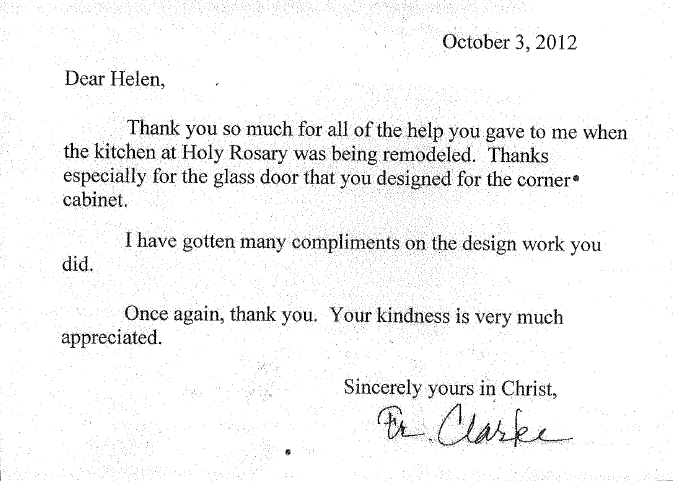 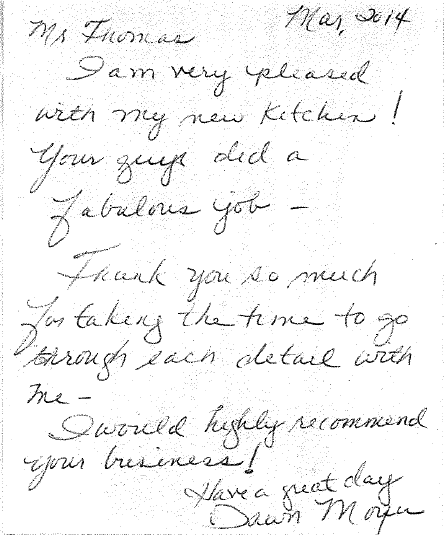 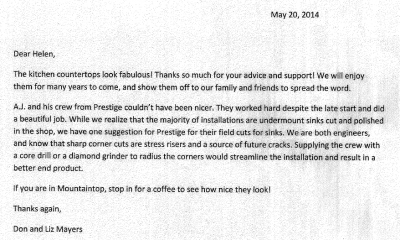 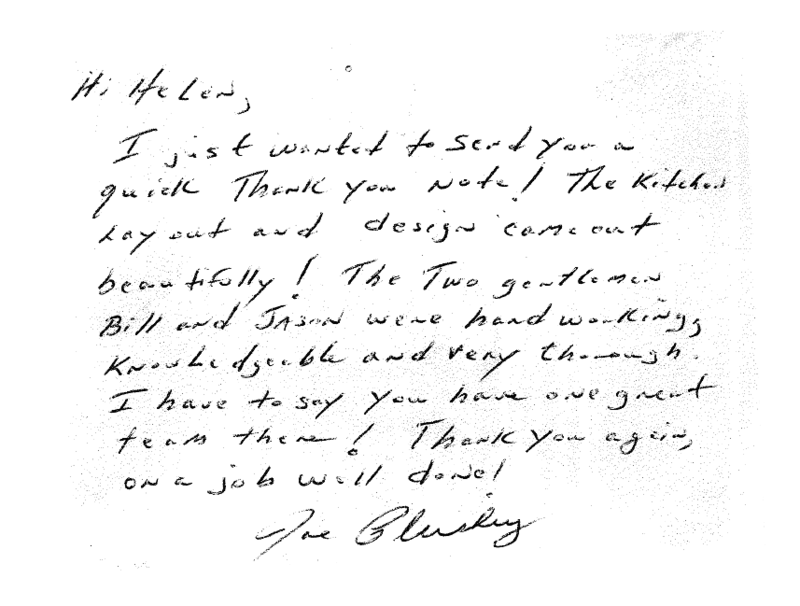 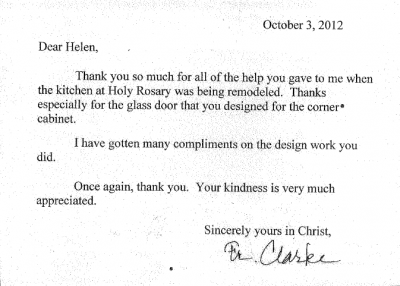 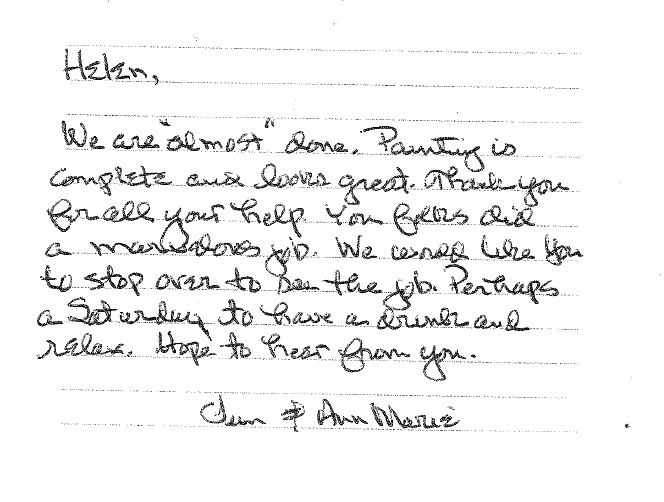 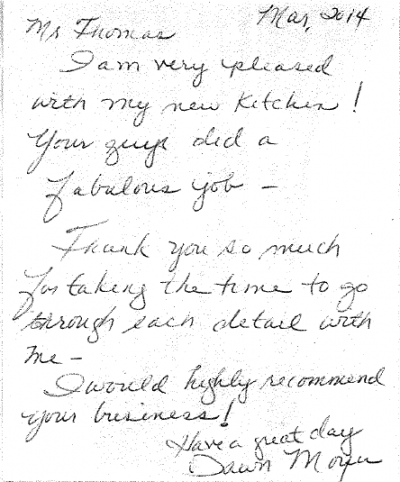 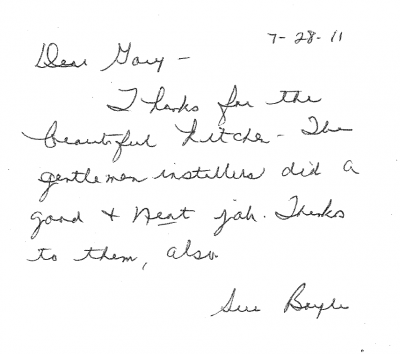 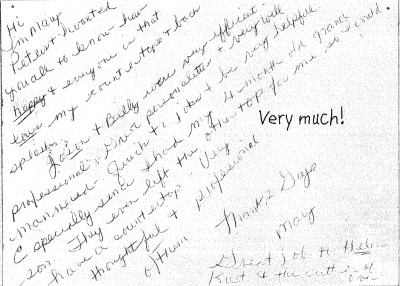 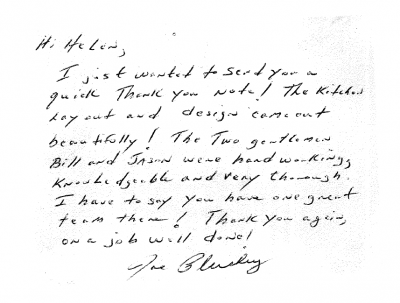 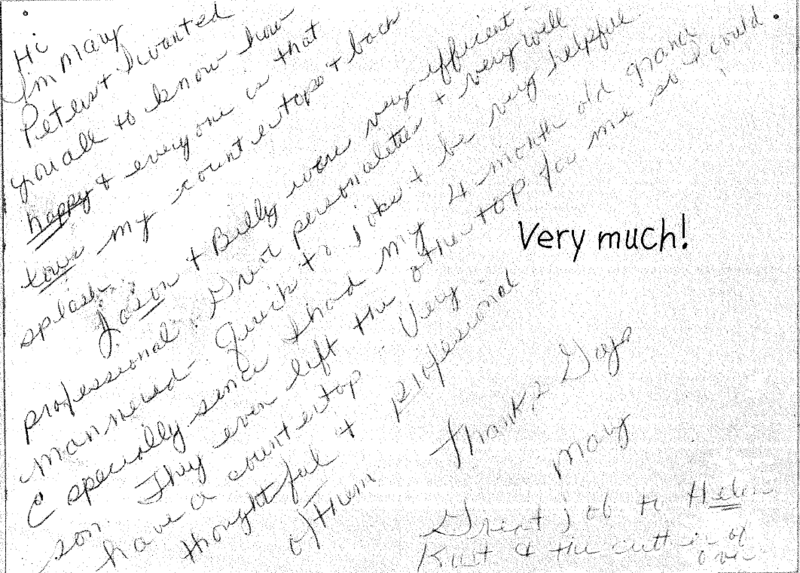 We are very proud to share the following hand written letters we have received from our satisfied customers.